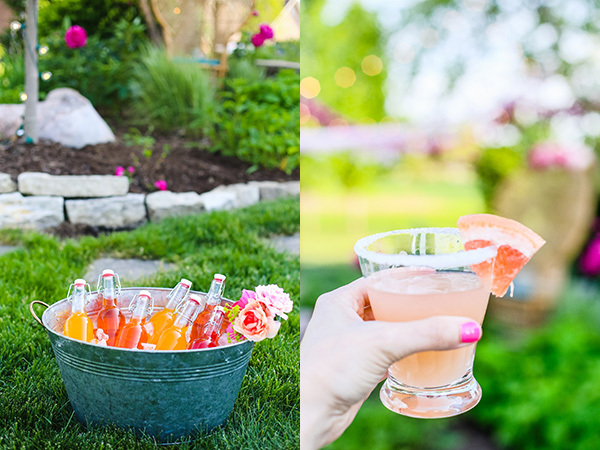 Entertaining with Style: Sweet Lulu’s Colorful Margarita Party! Welcome to Spring and Happy Friday! When it comes to personal style, hosting and entertaining is the perfect opportunity to showcase your own unique style. As a thoughtful (and stylish) hostess, I always take care to ensure that the food is excellent, the decor is fabulous, and the guest list is filled with amazing people at my events! It’s this level of care and style that I look forward to bringing you wonderful readers in my Entertaining with Style series. 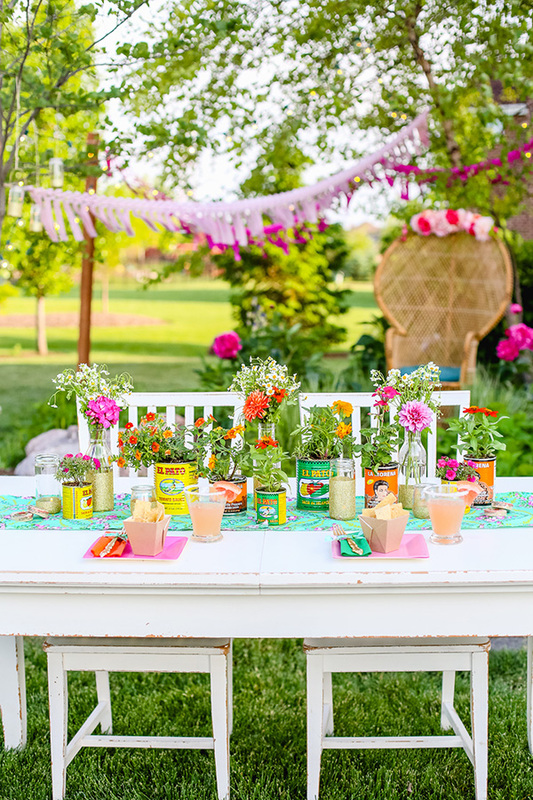 Today I’m bringing you a colorful margarita party hosted by Shop Sweet Lulu, an online boutique specializing in high-quality & on-trend partyware sourced from around the globe. There are so many great ideas here! Enjoy! 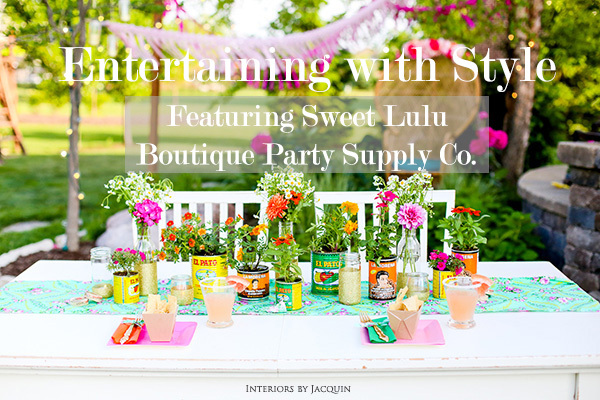 Jacquin: I’ve interviewed Shop Sweet Lulu’s proprietress, Jesse Senese, to get the details on this fun fiesta! Hi Jessie! Thanks for chatting with me today! 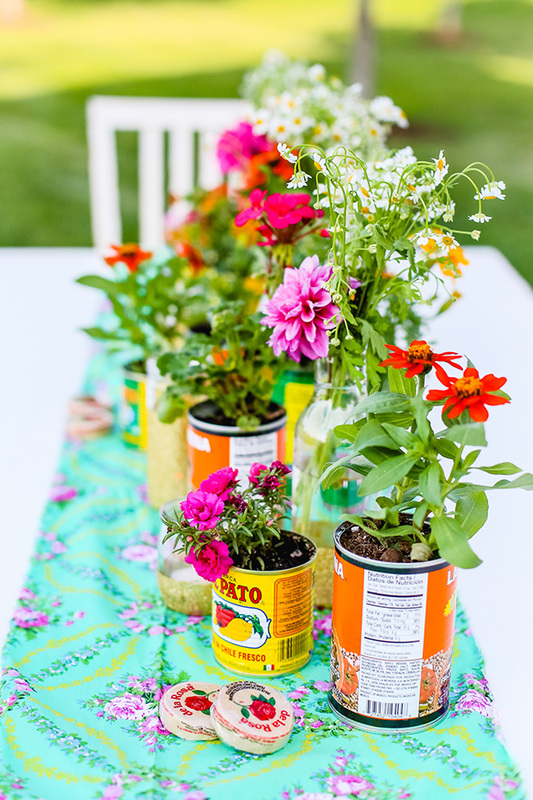 What inspires your fun party decor creations at Shop Sweet Lulu? Jessie: We’re inspired by so many things, and they’re always different – it can be a color combination, a product, or a theme. This particular party was inspired by the drink we served! The margarita! 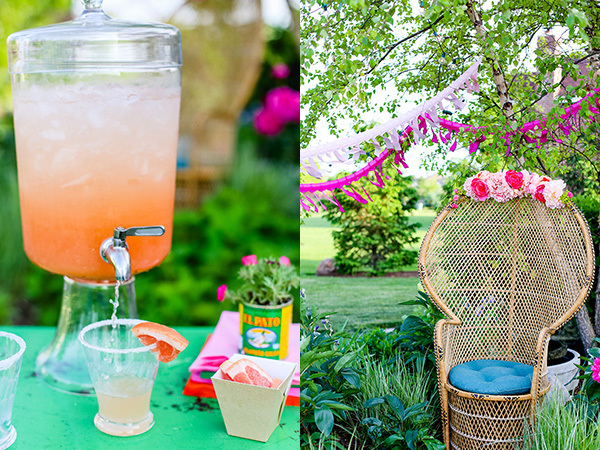 Jacquin: I love that Sweet Lulu has thrown a margarita themed party! 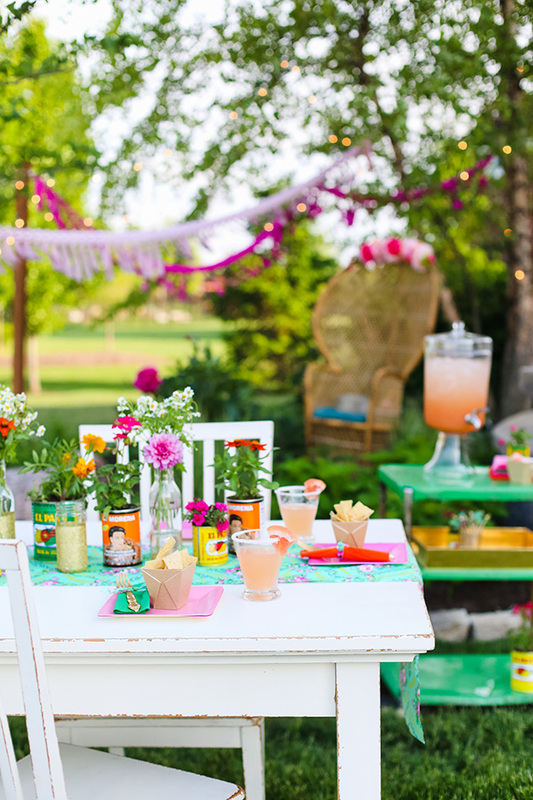 I’ve been wanting to show that brightly colored parties with all of the fun decor can still work for an adult get together. 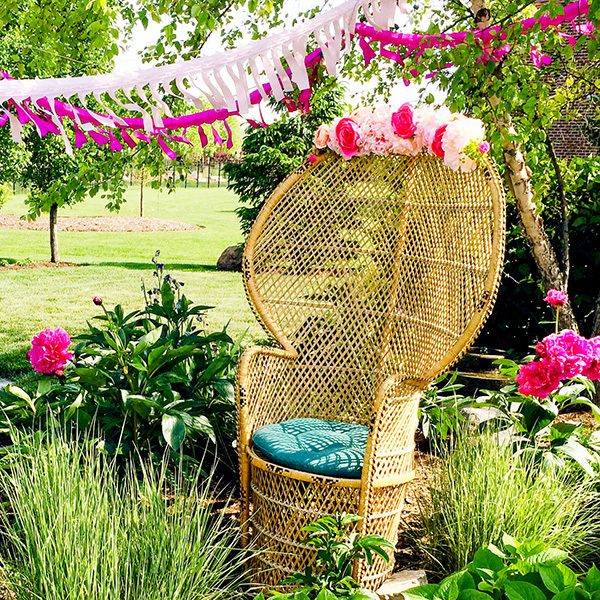 Sweet Lulu’s party is the perfect example! 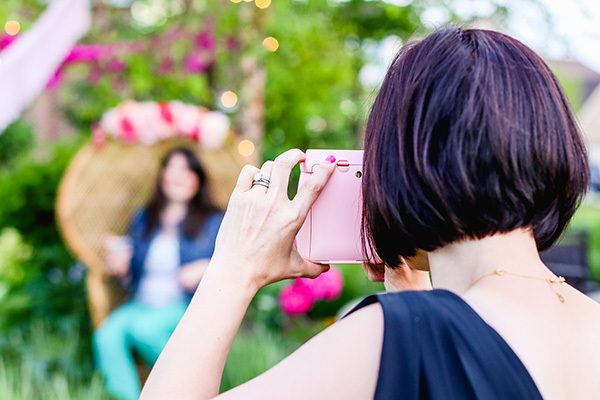 Share with us a bit about your inspiration for this particular party. 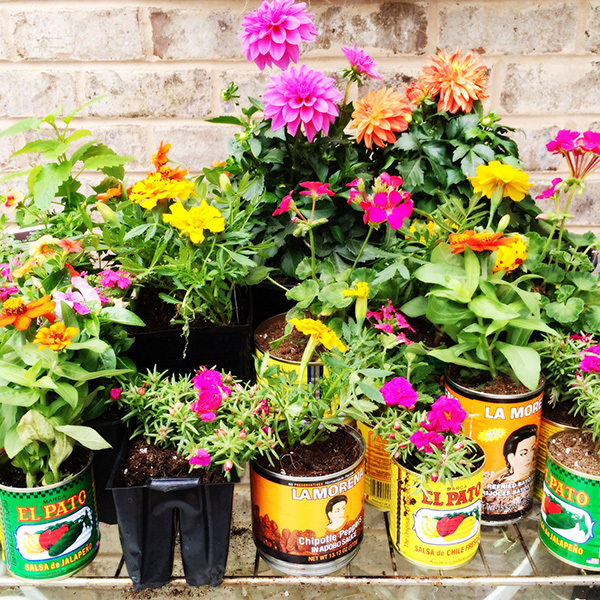 Jessie: Once we knew that we wanted to serve margaritas, the menu and décor sprang to life. 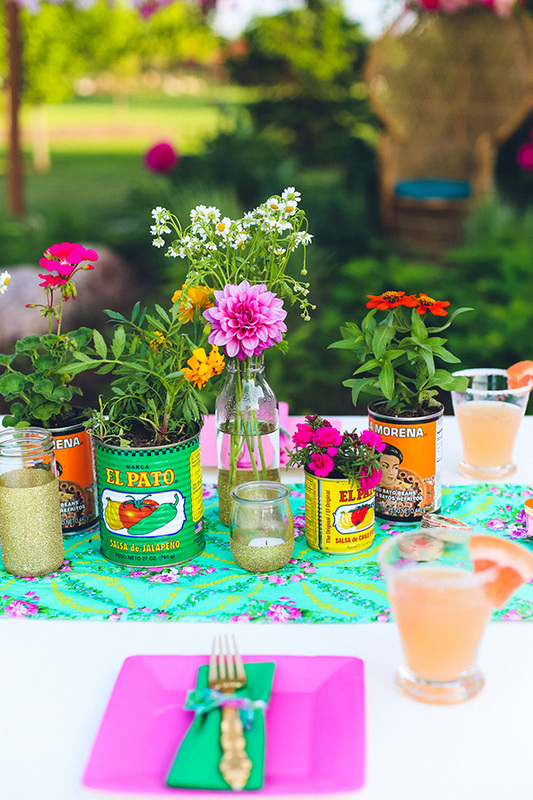 We took a little field trip to a Mexican grocery store and stocked up on colorful cans of beans and other ingredients, which we used as containers for our flowers, and paired those with pretty pieces from our shop in vibrant colors. Jacquin: How does your personal style come through in the parties and get togethers you host? Jessie: For the margarita night, for example, I found a vintage wicker peacock chair (above) at a resale shop and created a flower ‘crown’ for it. I also fancied up a bunch of glass jars with glitter – we hung these from the trees and used them as votive holders on the tables. I always try to include a handmade element. 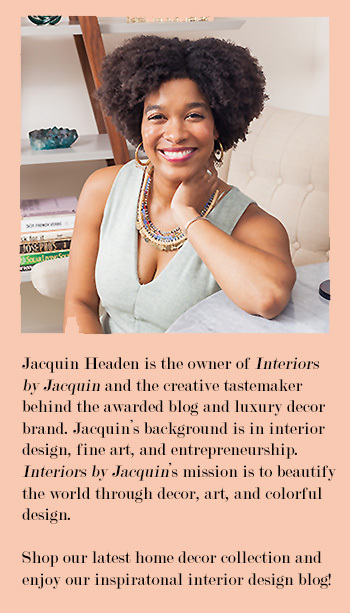 Jacquin: Share with the readers the decor elements featured in your party. Jessie: We brought my kitchen table and chairs outside, and covered it with a fabric table runner and lots of potted flowers. I also cut some fresh flowers from the garden and placed those in the glittery glass jars that we crafted. As the night wore on, the big bulb lights hanging from the trees highlighted the tissue streamers floating in the sky and it was all magical. 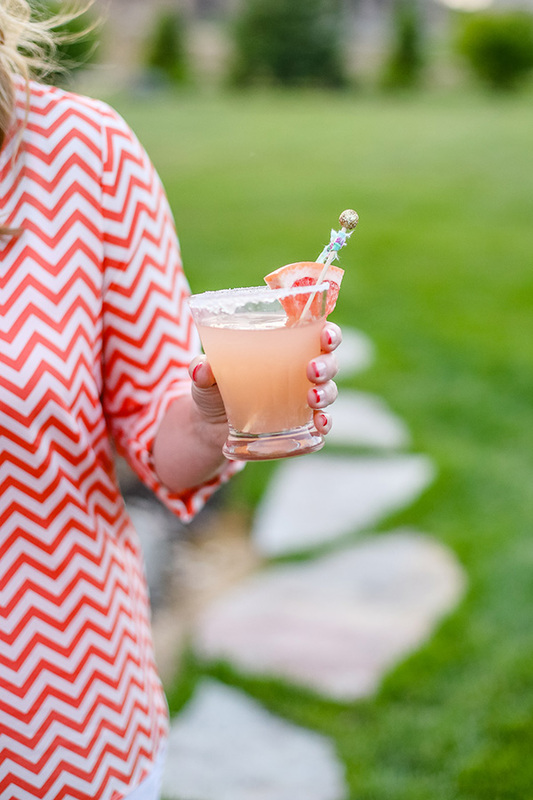 We also tied little strips of fabric around these sticks DIY style to make drink stirrers (shown above). 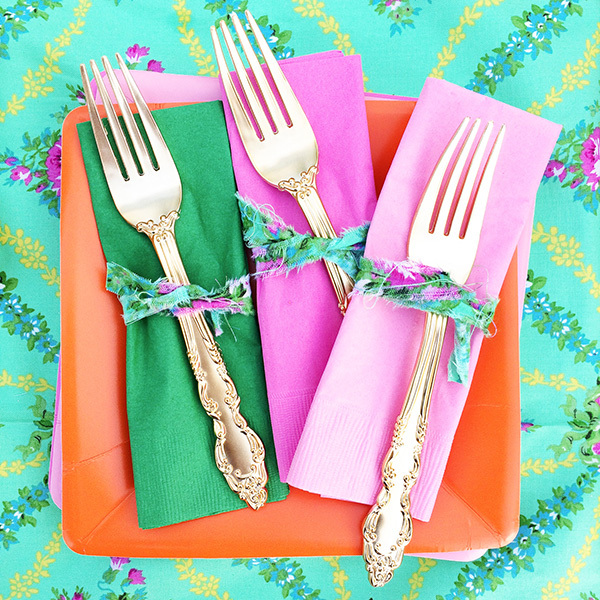 We wrapped the chic gold utensils in matching strips of fabric, as well. A great way to customize your party! Jacquin: What was the menu at the party? 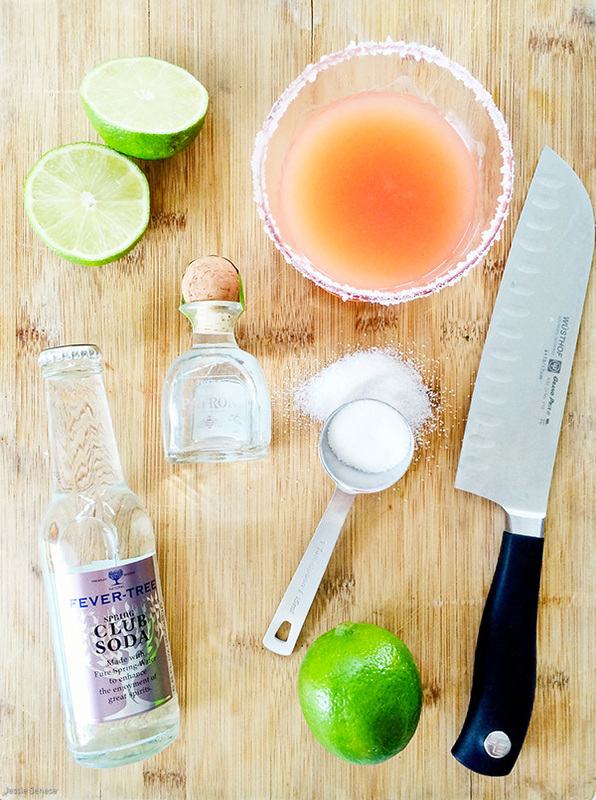 Jessie: The Paloma Margarita was the star of the show! We also had fresh guacamole and chips, and a few different salsas, but the evening was definitely about the margarita! I used this recipe for the Paloma, which varies from other margaritas I’ve seen in that the glass is rimmed in sugar instead of salt. It was delicious! Jacquin: For my last question, would you mind sharing one great party hosting tip with us? Jessie: Keep it simple. Don’t over-think things, and execute a couple of things really well. 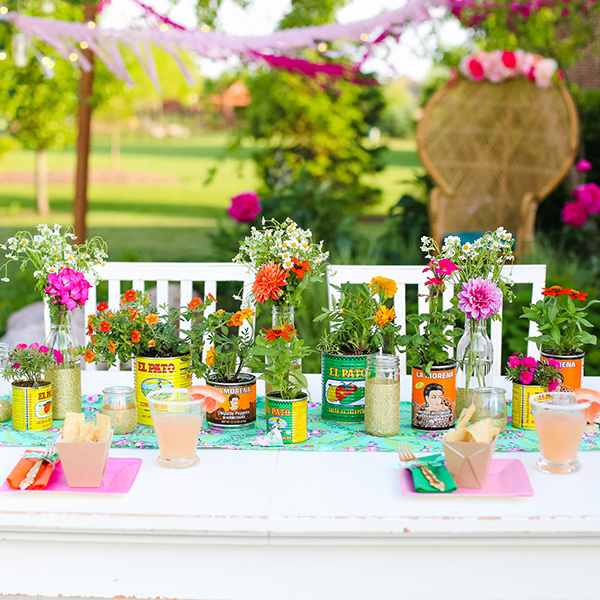 Want to source Sweet Lulu’s colorful party supplies shown here? Wooden Candy Sticks – Decorate these with colorful strips of fabric like Shop Sweet Lulu did! Swing Top Bottles – Love these! Serve you beverages with style! Corrugated Geometric Dishes – Perfect for individual food portions. Pretty Plastic Utensils in Shiny Gold – Shabby-chic at its finest!